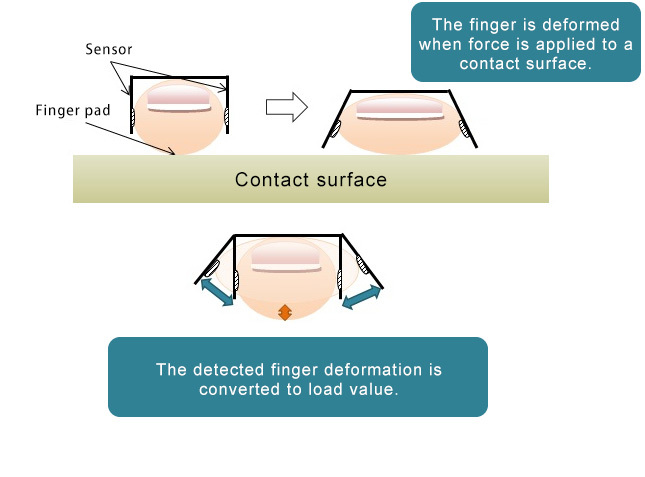 Our Haplog (Haptic skill logger) can measure the finger behavior such as touching, pressing, rubbing or holding in a physical value (force) without losing any tactile sensing of the finger. This product will be useful for usability evaluation of such as operation abilities or rehabilitation effects. The finger pad expands when it is pressed to a contact surface. Accordingly the finger deforms and this deformation is converted into load. the calibration result is applied to measurement. The finger is pushed to the calibrator. 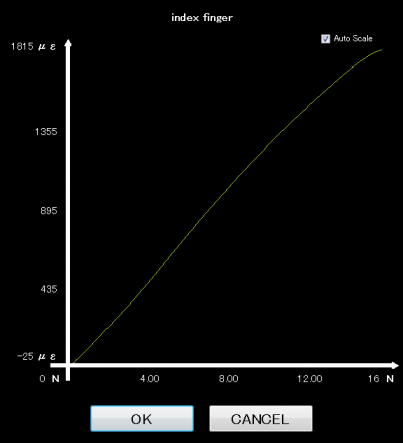 and the result is used as the calibration data. Measurement is based on the calibration result and the measurement result is saved in CSV format. Contact force sensor(1) *The size can be selected on the purchase), connection unit(1), calibration unit(1), USB cable(2), software install disc, manual, storage box. Strain (shown as load value after calibration), 3-axis acceleration. 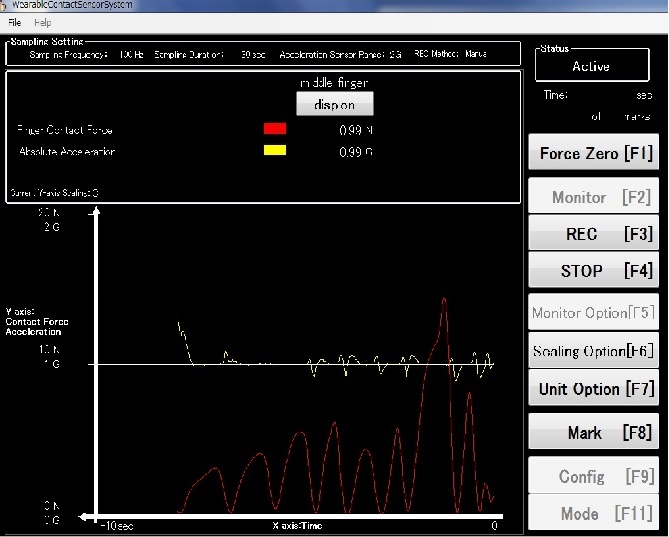 External trigger function of connection unit (Contact, IN) *This allows synchronized measurement with camera systems. Copyright© Tec Gihan Co.,Ltd. All Rights Reserved.